When it comes to the flow of fluids or gasses in the system you are designing, a small change can make a huge difference. To help you evaluate the best solutions for your particular needs, we’ve created a free eBook outlining the benefits of flexibility in design for check valves. 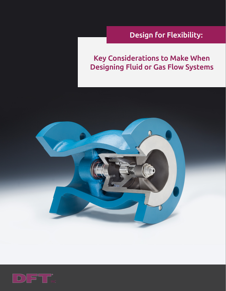 Fill out the form and you can download your free copy of "Design for Flexibility: Key Considerations to Make When Designing Fluid or Gas Flow Systems"